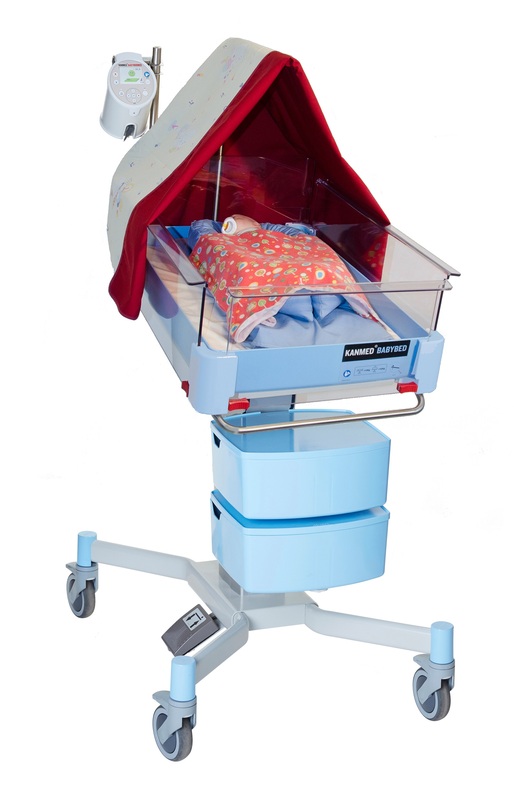 "Kanmed BabyBed – the modern way to care for new-born and premature babies. The new Kanmed BabyBed is designed to facilitate the care of new-born or premature babies. Good ergonomics and being easy to clean properly is the main features. When combined with the Kanmed Baby Warmer it is a perfect open baby warming system that encourages parent´s involvement in the care giving. Usually a premature baby spends its first 1 to 2 weeks in the incubator before it is moved to the BabyWarmer / BabyBed. and to attach accessories. Also avaiable without rail.